The outstanding Madisyn Shipman is everyone’s #WomanCrush every day. She’s perfect in all ways and a total #inspo to everyone. Madisyn Shipman is the BFF we all wish we could have. We love watching the marvelous Madisyn Shipman in the remarkable, Nickelodeon show, Game Shakers. Her indescribable, acting skills always shine in each and every episode of the show and we always look forward to seeing what kind of fun adventures her character Kenzie gets into next. From creating spectacular apps, to having crushes and even teaming up with Girls Who Code for an incredible episode about S.T.E.M. – there’s always something exciting happening in Game Shakers. With any project that Madisyn Shipman takes on, she always does such a breathtakingly beautiful job. Her talent is one of a kind and we can see how Madisyn Shipman goes above and beyond to bring out the best of the best in all of her projects. Aside from being a phenomenal actress, Madisyn Shipman is also #Goals when it comes to fashion and beauty. She is a total fashion icon and she wears some of the greatest OOTDs. Seriously, we wish we could live in her closet. Plus, she’s an amazing beauty guru and she rocks some of the most dazzling and elegant, makeup looks. Madisyn Shipman is a beauty both inside and out and we absolutely adore everything about her. I, Alexisjoyvipaccess had the greatest honor of covering the renowned and prestigious 2018 Nickelodeon Kids’ Choice Awards and had a terrific time catching up with and interviewing the wonderful Madisyn Shipman again at the event. Madisyn Shipman dished exclusively to Alexisjoyvipaccess all about what it was like for her wrapping up season three of Game Shakers, who she fan-girled over at the Nickelodeon Kids’ Choice Awards and so much more only in our VIPAccessEXCLUSIVE updated interview. Madisyn Shipman even took on a “Slime or Save” speed round and revealed whether she would slime or save Grant Gustin, her Game Shakers cast-mate Cree Cicchino and more – hear what she had to say in our VIPAccessEXCLUSIVE updated interview below. Thanks for another excellent interview, Madisyn! 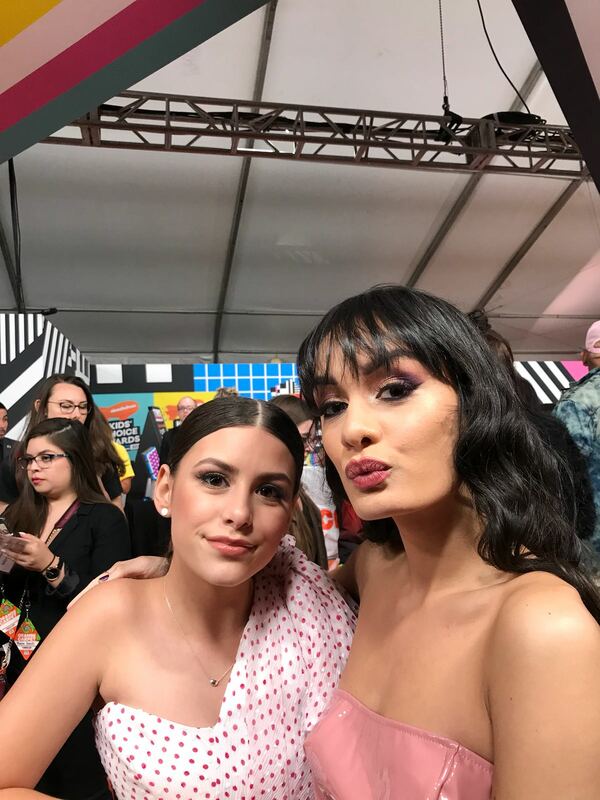 Check out my VIPAccessEXCLUSIVE updated interview with the stunning Madisyn Shipman at the 2018 Nickelodeon Kids’ Choice Awards below! Previous VIPAccessEXCLUSIVE: Aubrey Miller Interview With Alexisjoyvipaccess At The 2018 Nickelodeon Kids’ Choice Awards! Next VIPAccessEXCLUSIVE: Ricardo Hurtado Interview With Alexisjoyvipaccess At The 2018 Nickelodeon Kids’ Choice Awards!